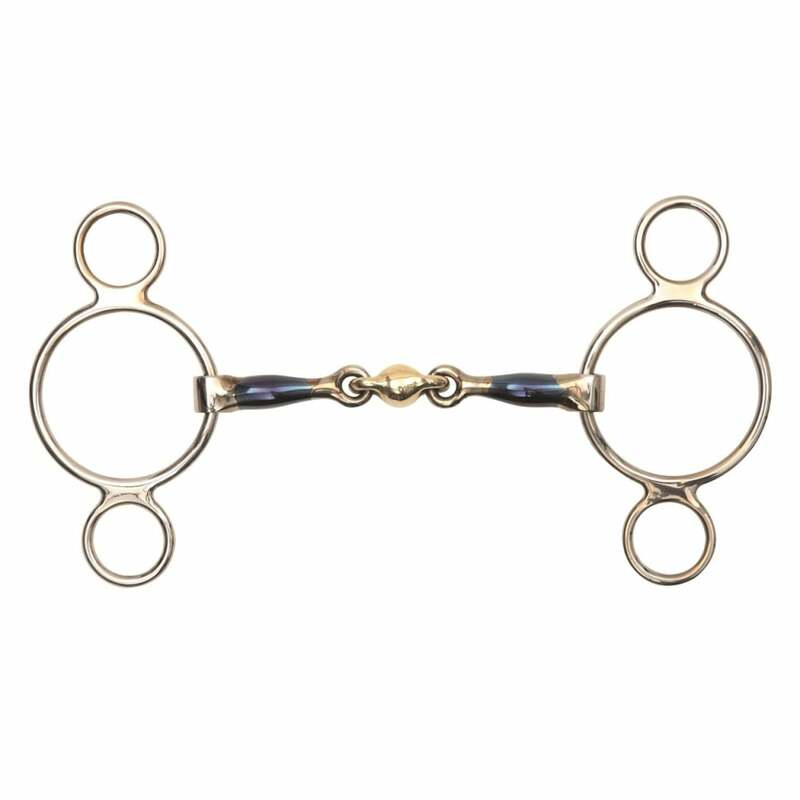 The Shires Blue Sweet Iron 3 Ring Gag with Lozenge features a ring above and below the main ring to allow adaptable poll pressure and leverage on the mouthpiece. The anatomical double joint distributes pressure over both the tongue and bars of the mouth encouraging mouthing and contact. This Shires bit is made from stainless steel which is durable, easy to clean, tasteless and does not rust. The mouthpiece features blue sweet iron that oxidizes easily to create warmth and a sweet taste which helps with bit acceptance and encourages salivation. Please note the blue colour will fade with use.